Fancy getting your hands on a free t-shirt? When people tell you that there’s no free lunch in the world, DO NOT BELIEVE them! There’s one up for grabs while stocks last. So of course, you have to act fast, act NOW! TravelUSA.com, the home of discounted reservations and guaranteed low prices, is the company dispensing these free t-shirts. No doubt, these t-shirts have TravelUSA.com logo printed in front and their sister company’s logo, Hotel.us, printed at the back, but who minds, right? 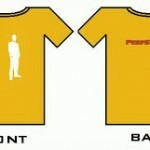 The t-shirts come in sizes Large and Extra Large only. Just fill out the form provided and wait for your free t-shirt in two to four weeks’ time. This entry was posted in Freebies and tagged free t-shirt, free tshirt, Travel USA t-shirt, Travel USA tshirt on February 28, 2007 by Cyberpartygal.